You probably noticed that I missed usual post on Friday, it’s because of exhibition. We went to see (this year we aren’t exhibiting) exhibition called Tendence which was held in Frankfurt am Main, Germany. Do you know about this feeling when you come to some public place, like bar, restaurants or library, and there is no place to put your bag on. Well, there is a solution. 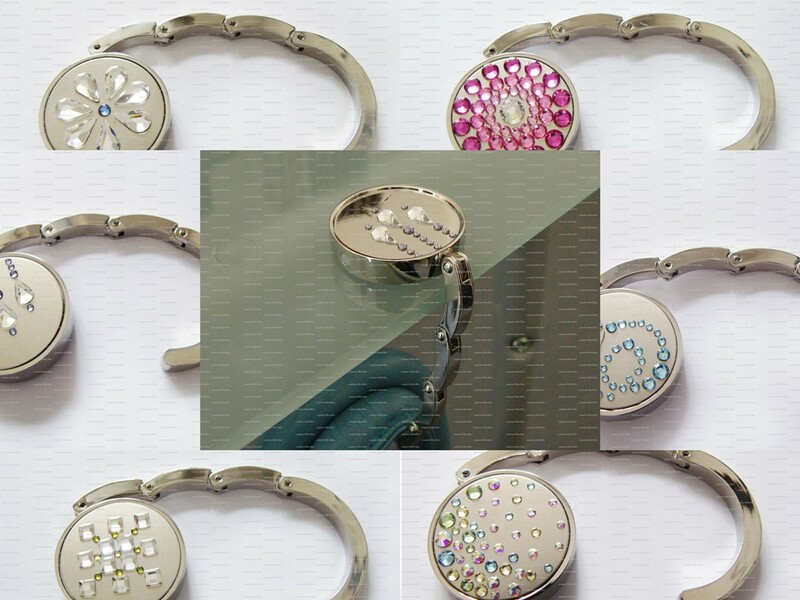 Purse hangers, rated to hold up to 9kg (20lbs), these items should find a place in any purse. Imagine, you enjoying your cup of coffee not caring too much about pickpockets, because your bag is right next to you. And you can reach to needed stuff any second. Plus it is a really beautiful accessory decorated with Swarovski crystals.